Malaga is a blend of joy, passion and culture. During our tour you will get to know Malaga's present and past. Our guides will take you to the most important monuments and spots. You will learn about history, religion, architecture, current affairs, events, folklore and leisure; do not miss our advice on your holiday in Malaga and Andalusia (best places to eat, shops, or fun facts) – we are always open to suggestions! Come on our Tapas & Wine Tour to enjoy the best food in one of the most beautiful cities in Andalusia. We will start by visiting the top monuments in the city centre. Then we will pop into the Central Market, where you will plunge into the Mediterranean way of life – colourful and lively – as you taste some of the finest local produce. The next stop will be at the new port area, where Malaga meets the sea. A fresh salty breeze will take us back to the tavern El Pimpi, perhaps the most popular in Malaga, where we will enjoy a glass of Malaga's world widely known sweet wine. Salud! recommended). The final climb will follow the Conde de Ureña streets to reach the summit of the Gibralfaro Mountain – which overlooks the city. Marbella is known as 'the pearl of Andalusia'. Green and cosmopolitan, Marbella offers an elegant scenery with the atmosphere of the old times. 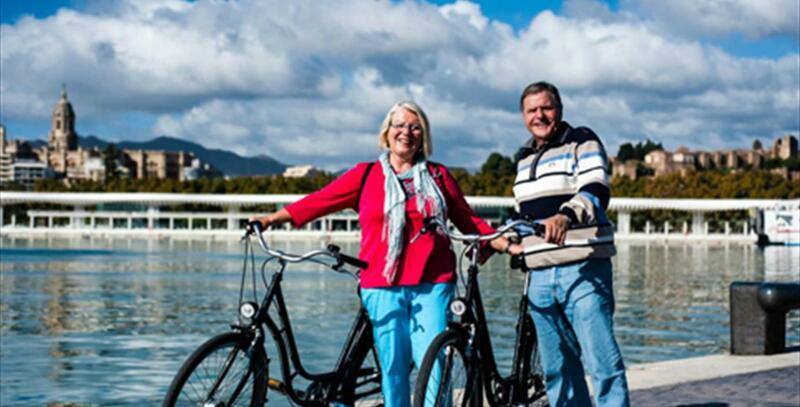 During our bicycle tour you will discover the Marbella way of life. 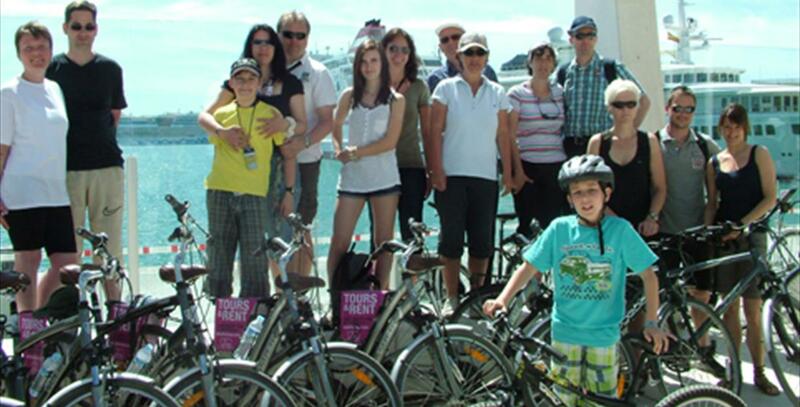 We will first cycle to the beach and the most luxurious marina in the Costa del Sol, with its amazing parks. After that we will take you to the hidden secrets of the old town – where streets and squares follow the radiant white pattern of most Andalusian towns. We will continue to the highest point in our tour – the Santo Cristo Square – and follow the ancient town walls until we reach our last stop: a traditional fisher settlement. To start with we will visit the famous 'Golden Mile' cycling beside its beaches and the most luxurious marina in the Costa del Sol: Puerto Banus, where glamourous yachts and amazing first-class cars are commonplace. You will discover the history of this marina, written by celebrities such as Omar Sharif, Sean O'Connor, the Prince of Hohenzollern and many more who usually spend their holidays in the Costa del Sol. 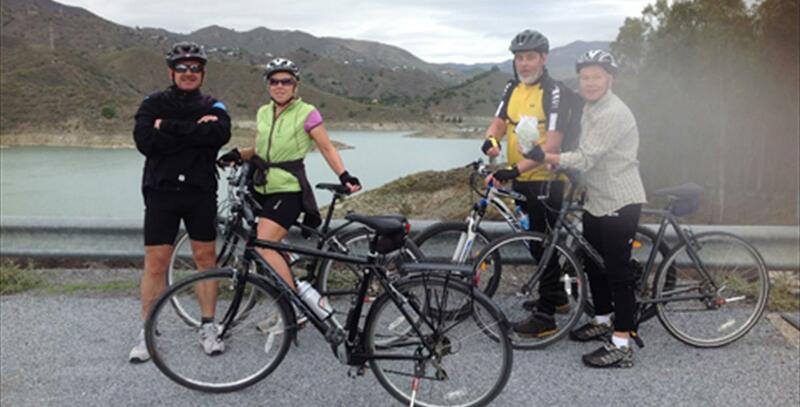 The tour from Marbella to Puerto Banus is a flat 7 km ride. From the marina you will have the choice of returning to Marbella by boat (tickets 8€, not included; subject to availability, please check timetables with us). 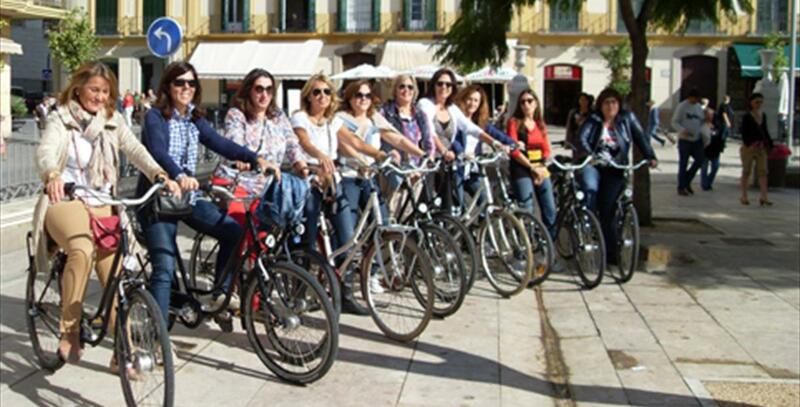 We also offering special guided bike tours for agencies, corporate clients and groups. All tours available in: english, spanish, dutch, german, russian, french y italian.